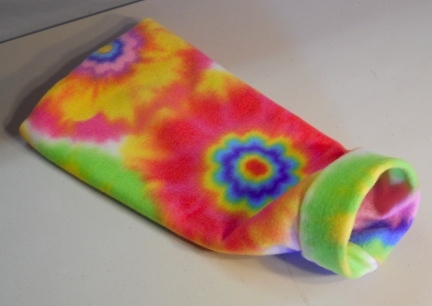 It is made with a Tye Dye Flower Power Print Polar Fleece with a plastic ring to keep the front open. The front has about a 5" diameter and is approx. 16" long.